Everyone is very aware of all the talks of bailout for huge corporations in the mortgage and insurance world, but what many consumers don’t understand is how are the benefited? Well if you had stocks in WAMU you were not protected at all. The government has given those corporations a bailout, and have left the consumers with useless WAMU stocks since JP Morgan did not transfer the stocks over. Fine, want to help out the big guys whose CEO’s fell into financial despair from their greediness to fund anyone regardless to how risky they were to begin with, then us consumers, the “little” ones want to know what kind of bail-out’s you going to be doing for us? I don;t see any bail-out on the thousands of dollars of debt consumers, both reckless and ones who suffered unfortunate circumstances, being bailed out from the debt that is killing our credit scores. There needs to be check and balances. The Government can’t always come running to the side of corporations who drove their companies to over-whelming debt. Look at Bank of America, they didn’t open risky loans, and they are still standing. Great WAMU was “saved”, but for those of you who trusted your bank and put stock into it, tough for you, the government could care less if you lost $10,000. You arent protected, but don;t worry you checking and savings are. Small Business Owners, Where’s the Federal Help? Being a Small Business Owner in this economy is not easy. With pennies being taken off of gas prices, and the cost of living and daily business expenses going up, where is the “bail-out” talks for the small business owners making sacrifices and locking up the doors for good? With consumers pinching pennies, eating in, and shopping more frugally how does a small business compete in that kind of space when the only choice they have is too raise prices? The more they raise them, the more frugal customers they potentially lose. Being young, I almost wonder if I didn’t choose the right time to open the virtual doors to my shop NaturalAmber Designs, but then I stop to think I have some pennies to invest so I’ll just be more frugal, I have a day job, but how many small business owners out there are not fortunate and have that second job? I want to know which candidate is going to address tax cuts for these smaller businesses? Which candidate proposes small business stimulus checks? Which candidate is going to want to save small businesses from going under? I hear all this talk about bailing out huge corporations — and yes something needs to be done about the mortgage crisis, but how about passing a law that gives a higher minimum wage? A must pay to the employee $12.00 an hour. The higher inflation goes, the more people struggle, and the middle class just diminishes more, and the poor just get poorer. I’m sure the multi-million dollar CEO can scarifies a few thousand dollars. Which candidate is for small business? I haven’t heard anything yet from either one that is promising. I have dreams, and those dreams a big, I just want to know whose hands I put those dreams in. I am a Democrat so I know who I will be voting for, but I just want to hear plans not promises for the small business owners. Selling off-line and selling on-line are two different worlds, but both have one thing in common you must market to gain exposure, and the first 6 months are absolutely critical. Many businesses fold before a year has passed, often times from frustration and lack of sales, but if you market yourself and market daily your presence will bring more customers. My ETSY shop and my own website naturalamberdesigns.com have been one of the biggest marketing tasks I have ever done, and at first I really didn’t know where to begin but once I researched how others in my market were advertising their web-pages, their ETSY shops I quickly began following their proven strategies. I have been a successful artist off-line, but selling on-line is definitelydifferent, but you can combine marketing strategies to bring the customers to both areas of your small business. 1. Market Yourself Everyday. I can stress the importance of this one enough, it is so important to find a way to reach to someone, a potential customer every day. This could be as simple as handing out your business card to the checkout lady who adores your jewelry, or could be devoting yourself to a new campaign on Google’s Adwords. Keep marketing. 2. Fall in Love with Networking. Networking proves to be a very strong tool in the world of marketing, it really comes down to who you know, and what people know you. There are so many wonderful networking sites, and you don’t need to just join ones that have to do with your small business. There are some great networking sites such as Flickr, Myspace, Stylehive, and so much more. 3. Make a Blog. People love content, and they love getting to know the artist behind the shop. Often times many of us try to make our websites as pictureful as possible, so blogging is a great way to say what you want to say. You can blog about practically anything, just make sure it’s the positive attention you are going after! Try to blog at least three times a week so you stay in the first few pages of search engines. 4. Optimize with search Engines. On-line people are not going to be able to find you unless you show up in the searches. Search engines love new content, but you need to make sure they know you are out there! I highly recommend submitting your website to the major search engines, starting with Google. Also you may want to consider using a campaign marketing sponsor links like Google’s Ad Words. Also search engines love content, make sure you use your major keywords in your titles, and the first paragraph of your page. 5. “Random-Nize” Business Cards. I would leave your business cards wherever the opportunity arises. This could be anywhere from books in the local library, or on the tables of local coffee shops. Just remember be creative, market yourself daily, and don’t give up. If you are new at this it can take up to 6 months to really get into the groove of daily sales, and a less sporadic sales volume. Before you know it you will have a steady book of customers, and proven stategies to continue working on with marketing. 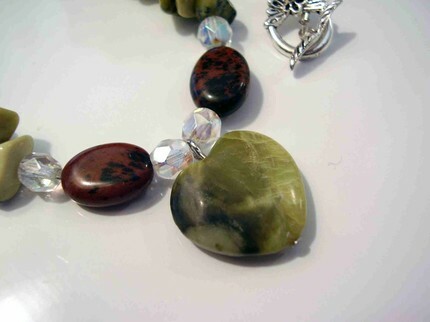 NaturalAmberDesigns has just added a bead gallery! In the market for a custom piece of jewelry? The Grand Opening of the bead chest is September 26th, but we have beads already loaded so check it out! With September almost over, and the holidays inching quick are you ready for season buying? Just like many other ETSY sellers, I have been stocking my shop so there is plenty of variety for buyers! While browsing around on ETSY, I am very pleased to bring you a quick peek into 10 very talented ETSY seller shops. Who knows, maybe you’ll find a gift you want to buy early, before you know Christmas EVE will be here and you want to make sure you didn’t forget any presents. The items you find on ETSY are so unique since must of them are handmade and vintage, that you may not have another opportunity to buy an item like it again. 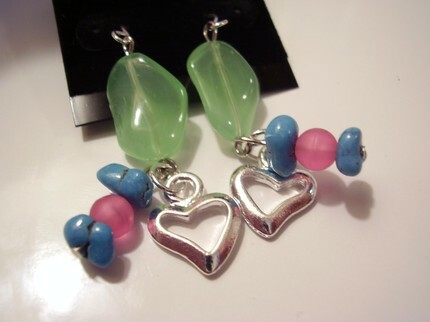 The item that I am showcasing for the holiday season is a handcrafted heart of turquoise necklace. So please take a look into these 10 very special ETSY shops, browse around, and start thinking about the holidays. For those buyers who have an appreciation for handmade goods, ETSY is your place to shop. 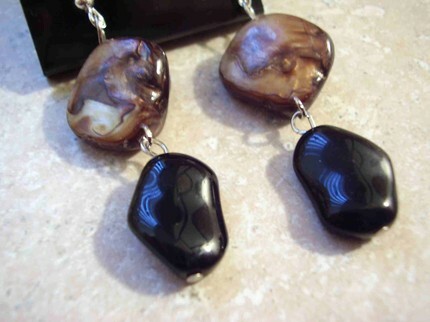 Please come visit me at naturalamberdesigns.com and enjoy my custom jewelry corner where you can handpick out beads to make customer jewelry with! Custom jewelry is a great holiday gift, a wonderful way to personalize a special piece for your loved ones. ThinkOutsideTheBox is not only a wonderful store on ETSY full of talent, creativity, and inspiration, but the owner behind it Rachel is one of the most wonderful people you will get to know and any transaction with her will be nothing short of memorable! I have been lucky to be one of those individuals who has really gotten to know her on ETSY, and as a new artist on the site she really has offered much guidance, advice, and helpful tidbits to make me a stronger and more successful business owner. Peeking into her shop, she has a very memorable showcase of items for sale, all waiting for wonderful buyers to purchase them. There is truly something for everyone. I recently got the opportunity to interview Rachal, and I enjoyed, just as much as I know everyone else will, getting to know the artist behind the shop. 1.Q: How long have you been working with your craft? A:There really is no correct or short answer to this question. I believe that artists as a whole have been fortunate with their particular craft in that they were most likely born with a certain artistic ability. So, not to sound dramatic about it but I guess I could say at birth. So for me that is about 40 years! Yikes, did I say that? Boy, 40 does not look good when written. 2. Q:What drew you into your art? A:I think that art drew me into it! It has always served a purpose of joy and relaxation for me.I was never one to really enjoy art class as I felt it was a public display of humiliation for those of us who were more of the non-traditional artistic types. People were always judged on their ability to conform to the subject at hand as if it were of the utmost importance to be able to draw an apple perfectly that actuall looked like an apple. Totally NOT my style at all. So, it was a natural progression for me to be drawn to art in a more eclectic and non conforming way. Thinking outside of the box has always interested me, hence my shop name. 3.Q: What made you want to become a small business seller? A: I never put much stock into selling what I made. A lot of artists and crafters don’t really entertain the idea that someone will actually want to buy their things. I create for me not for the masses so when someone actually pays for something I’ve made it is such a rush to me. The desire to become a small business seller stems from a need for me to create. There is only so much room in my house for these things and my family’s homes too. My general thinking is that maybe one of my items would become a cherished piece or a focal point in someone else’s home. But, really, the short of it to is that I have 2 expensive children ages 16 and 21. They have a need to be fed, clothed and housed along with college tuition and voila..there you have it. Want quickly turns into need when you are responsible for others. 4. Q:Have you been featured anywhere, in any artiles, magazines, or local venues? A: My shop and a few select items have been featured in some etsy related blogs. There are a few great bloggers like yourself whom dedicate a lot of their time to feature other etsy shops and their owners so I have been fortunate in that arena. A few noteworthy ones other than yours are http://www.onthedotcreations.typepad.com, http://www.handmadenetwork.blogspot.com and http://www.dzfantasy.blogspot.com. I am a member of the etsy NFEST team (needle felters of etsy) and they run a few websites and blogs where many of its members are featured along with their felted items. I was contacted by someone on Flickr a month ago asking for permission to use one of my pics of a needle felted Peter Rabbit I created for use in an on-line newspaper/group. But, other than that I really haven’t put myself out there enough yet. I will be participating in a well known Fall Festival around these parts in October so fingers crossed there. 5. Q:What advice can you give to artists who are beginning the trade? A: I am so bad at advice and over the last few years have been programmed not to give it as my own children don’t take it so…I’m a bit rusty in that category! I can tell you this though…most everyone else always say to do what you love and I don’t necessarily take stock in that because doing what one loves eventually turns into work and no one likes work! Plus, what if what you love isn’t loved by others and you are trying to make a living? There is a balance to be had here..yes I suppose you should try to do what you love but it’s more important to try and love what you are doing…make sense? Try out different things, different mediums and somewhere down the road you will be all the better for it. This helps us to apprciate a particular craft that someone else may do to perfection and it can also help you to find something you may love to do and didn’t even know it. Many of these things take a very small investment to try out and the return on that will be that you’ve made yourself into a more well rounded artist or crafter and can then possibly offer more of a selection to potential buyers. For me, this type of eclectic crafting really helps me to create more and keeps me from the monotony of one craft or medium. If I grow tired of doing one thing I can move on to the next. I’d say needle felting is the pefect example for me. I had always wanted to try it out not knowing the how’s or what’s etc. but it took over like wildfire for me. I love it and have a great affliction, obsession and addiction to it, all in a very good way of course. Just don’t be afraid to try new things. What’s the worse that can happen? So maybe that particualr craft isn’t for you…you only have invested a small amount of moola and time and maybe along the way you got a good chuckle out of your atempts! Above all else here and the absolute most important piece of information I can share is to consistently give good qaulity and friendly customer service. People will remember that time and time again! 6. Q:Any promotions you want to address that you have, or will be having? A:While I LOVE and adore a good sale believe it or not I don’t really partake in them with my own shop. I try to consistently offer good quality items at affordable and very reasonable prices. I don’t mark things up for the sake of then marking them down and making them appear like a sale or bargain. Bad practices if you ask me. The whole etsy Saturday Night Sales doesn’t appeal to me. It is ludicrous to think that all of those buyers out ther are jsut waiting to pounce until Saturday Night. Etsy is a huge international site and there are handfuls of different time frames. While I sleep, someone in Australia is up and shopping…not fair for them to miss out on a special I’m having because their time zone doesn’t coincide with mine. Occasionally, on a few items I may offer free shipping or a reduced price but that is only because I may feel like it. There is no rhyme nor reason to it. What I do think is important and concentrate my time on are other blog giveaways and celebrations. It is extremely important to be willing to create some items to give away. It is a great business practice as it involves you and your shop with the community at large, gets your name out there, is a great way to promote yourself and along the way it gives you the opportunity to meet some really great people that you will inevitably become friends with! 7.Q: What is your favorite item in your shop, and why? 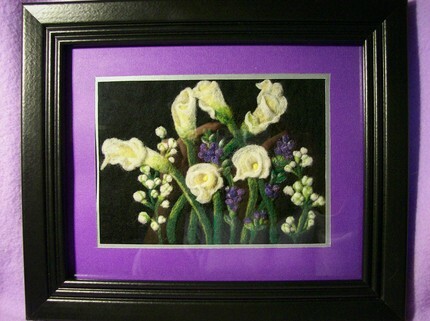 A:OH, this is a tough one for me…If I have to answer I’d say it woud be my needle felted Calla Lilly fiber art tapestry. As I have said, I am very new to needle fleting and just love everything about the craft and the mediums used. To be able to create an object or a piece of art from a few handfuls of sheep or Alpaca wool just amazes me! I am in awe of it. This particular piece is my very first attempt at needle felting a two-dimensional piece. So far, I have created about 6 other pieces all of which were three-dimensional, like rabbits and realistic looking baby chicks so this was a challenge. It took me nearly two weeks to finish the piece and I really just love how it came out. It is such a rush for me to try something new, enjoy it along the way and then to be happy with the result is just icing on the cake! If I never end up selling it I won’t be sad because it is something mmaybe I should own? Although I’d really love to see it adored and displayed by someone else. 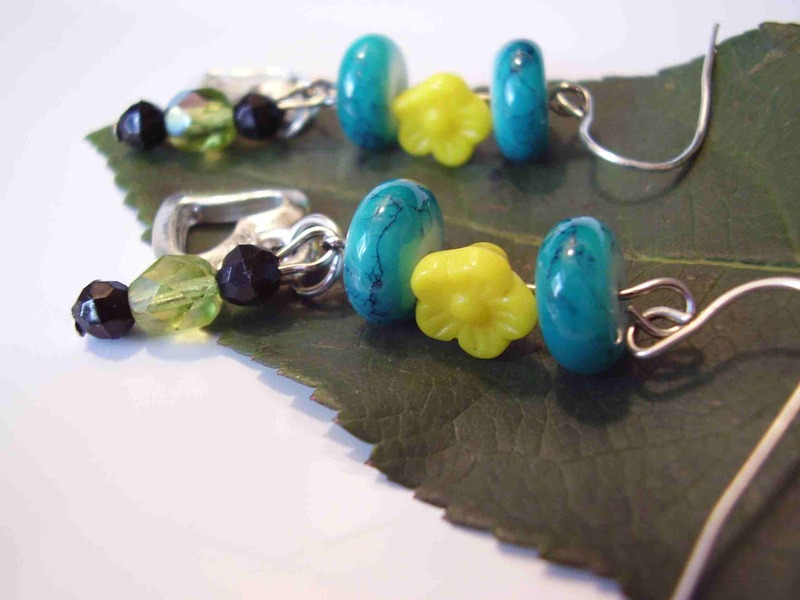 Handmade Jewelry can be a tough business to get into, so how can you separate yourself from the competition? Consider adding custom jewelry to your shop and the doors could open for a potential drive in sales. Before getting too excited, make sure you have a custom jewelry plan in place so the new piece of your business is a success and does not turn into a flop. You do not want to create any extra headaches. 1. Pricing. How are you going to determine pricing for your custom pieces? Many people lose money on custom orders simply because they underestimate how much time, and effort would go into pricing their work. I would determine how much you are going to charge per bead, and a flat rate. The flat rate is going to be the tricky part, but make sure it reflects time spent. Many people will determine their flat rate depending on the amount of beads and the difficulty of the project. Most of us have been doing this work for quite sometime and can judge how long a piece is going to take. Don’t forget to pay yourself for time, labor, and profit! 2. Off-line, On-line, or Both? I know many jewelry artists who prefer only doing custom orders for customers who can see the beads, often times these are customers they meet at jewelry parties. 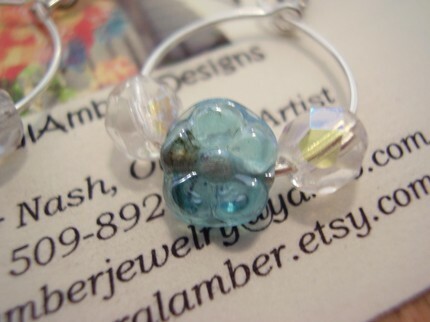 Many artists I know fear making custom orders because they do not know how to experiment with showing them the possibilities of creations they can make with their beads. Find a system that works for you. If you want to offer the custom portion on-line, I would take pictures of all your beads and make a page dedicated on your site for all the different beads you have currently in your order. 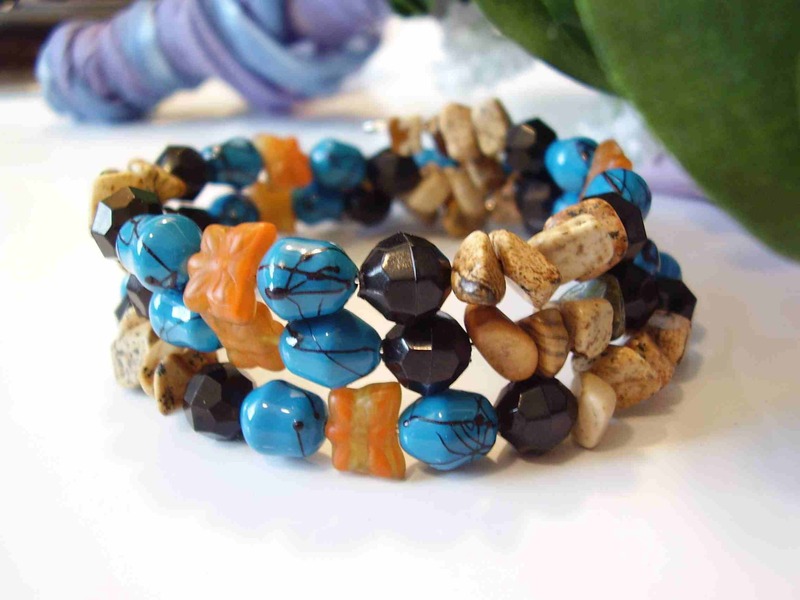 Let customers know if there is something they like from a store that you can purchase the beads for, have them provide you the sellers information and source it for them. 3. Set Realistic Time-frames. One of the most important aspects of custom jewelry orders is making sure you are setting realistic expectation dates for your customers. It is better overestimate then underestimated, and keep your customers in the loop. If it does turn out it will take longer then expected give your customer that update before the deadline, not the night of them expecting it to be delivered. Custom Jewelry can be so much fun, and can separate you from the competition but it also can be a failure if you don’t plan it right. Think things through, and remember to have fun! Drive in those additional sales you may not of had if you didn’t offer custom jewelry. I have launched my newest web page, http://naturalamberdesigns.com where I will be adding a bead chest for custom jewelry orders. Please stay tuned! Just like many other small businesses I am a little frustrated with the economy and I need a President who knows Small Business 101, and who understands the failing economy directly affects many businesses like mine. So many small businesses are folding simply because the high prices of every day business running, from supplies to gas, are eating way into their profits. Who is going to stop that, and how are they going to stop that when they have a disaster of messes to clean up once stepping into office. I want to know what candidate is going to prioritize on some of their “promises” when stepping into office, simply because 8 more years of this downfalling of the American Economy is going to cut away at my dreams and that is going to hurt. What candidate is going to stop that, which candidate cares enough about the American Dream, and all those people trying to build a dream of their own. I will be the first to admit, I was not a fan of either candidate at first but now with these being the only two standing I have accepted one of them will be the next President, and as a small business owner Mccain is not the one who will solve my problems, and I hope Obama will have enough internal experience to make the American experience revived, and the dreams of small business owners like mine within grasp again. I know if we do not recover, and the economy keeps going down in crumbles my dreams of becoming a successful jewelry artist may go down in flames with it. It scares me to my future in their ahnds, but what choice as American do I have. I guess I can always move to Europe. Small Craft Business 101: No Sales? Over the last few months I have had many close friends and people I know through the wonderful world of crafting close their shops, or throw in the towel on their small business venture. It’s disheartening to see them walk away from all their efforts, their hard work, dedication because they simply can no longer invest in their dream or the feeling of failure has become too overwhelming for them. As a small business owner myself, I too have had days where the pressures of keeping my dream alive seem to be outweighed by the frustrations of little income coming in but then I have to have a sit down with myself and remember why I am in the business of what I am doing. My passion for creating jewelry and wanting to share them with people will never change, and that’s why I am in this business. I have a long road to go, but I am in the long haul. I know sometimes people must scale back because of the restraints of money — but if you are one of those crafters who are in it for the long run what can you do to drive more sales to you? 1. Marketing. I can not stress this enough. Somedays I know it can feel like all you are doing is marketing but in the long run this is what is going to bring people to you. No one is going to know you are in the virtual world (or outside of it) if you don’t say hello to the world! I would google possible ways to market yourself on-line depending on what you sale. 3. Network. Networking can be a great way to get yourself out there, and find other businesses with the same interests as you. Often times the word of mouth through networking can be powerful, and drive new customers you would never of had. I would try places like Flickr, Myspace, Facebook. 4. Promotions. Often times customers are looking for a good deal. Perhaps they would love to buy that second piece but can;t afford both, but a simple 15% off of the second item promotion may be the key to the additional item on their order. 5. Keep On Keeping On. Sometimes new ideas, concepts, pieces aren’t going to work out the way you want them and all you can do is go back to the drawing board and come up with new ways to drive more sales.